The Las Vegas area offers plenty of glitz and glam for casino goers and resort vacationers, but just beyond city limits there is a range of natural and manmade attractions that have captured the imagination of travelers worldwide. 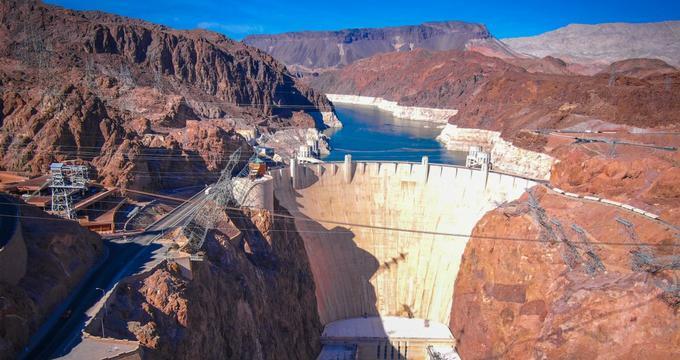 From the vast concrete walls of the Hoover Dam to the spectacular canyons of Zion National Park, there are all sorts of adventures to enjoy around Las Vegas. Hoover Dam is a massive concrete structure located along the Colorado River, straddling the border between Arizona and Nevada. 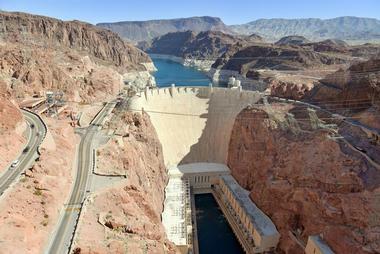 Built between 1931 and 1936 with the help of thousands of workers, the dam stands as a symbol of American ingenuity. Today, visitors can take a one-hour tour of the dam and the nearby power plant. Tours are offered from 9:30am to 3:30pm daily and tickets can be purchased in-person at the dam. For visitors who are short of time, the Bureau of Reclamation offers a power plant tour that lasts only 30 minutes. 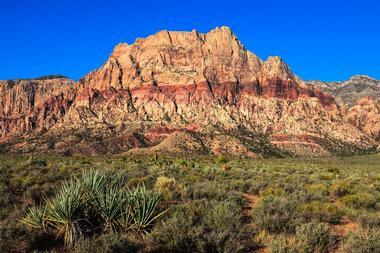 Known as Nevada's first National Conservation Area, Red Rock Canyon sits 17 miles south of downtown Las Vegas. More than two million people visit Red Rock Canyon each year for hiking, biking, rock climbing, horseback riding, and more. A 13-mile road winds its way through the scenic conservation area, which contains all sorts of desert plant and animal life. The Red Rock Canyon National Conservation Area is easily reached from Charleston Boulevard/State Route 159. The area is managed and protected by the Bureau of Land Management (BLM). Known for being Nevada's oldest and largest state park, the Valley of Fire contains an array of ancient trees and plants. 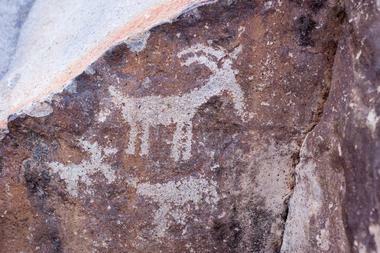 It also boasts a carefully preserved collection of 3,000-year-old Indian petroglyphs. The park is an ideal place for camping, hiking, picnicking and photography. 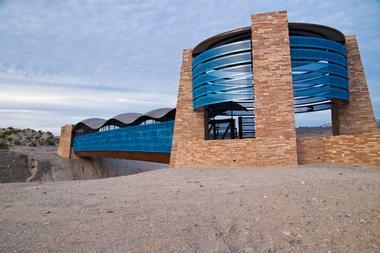 There is a large onsite visitors center where guests can learn all about the people who once inhabited the Valley of Fire State Park area. The visitors center also contains information about camping, hiking, and park rules. The park is open year-round, but summer temperatures can reach up to 120 degrees Fahrenheit, so visitors should come prepared. 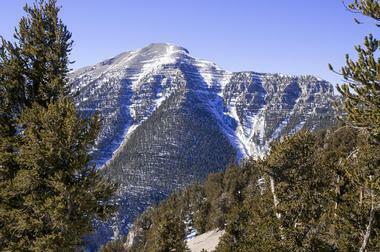 Mount Charleston is a beautiful recreational area located in the Spring Mountains. Situated close to the Kyle and Lee Canyons, Mount Charleston offers abundant opportunities for hiking, picnicking, camping, mountain biking and more. There are also daily educational programs organized by the staff and there are volunteer opportunities for people who want to protect its fragile ecosystem. In the winter, Mount Charleston receives a nice layer of snow that is perfect for snowball fights and sledding. Snowboarders and skiers will find plenty of action at the nearby Lee Canyon Ski & Snowboard Resort. The Clark County Heritage Museum is a 30-acre site that covers the history of Nevada from pre-historic to modern times. The museum contains a handful of restored houses, churches and barns that are reminiscent of the structures found in Las Vegas, Boulder City, Henderson, and Goldfield. 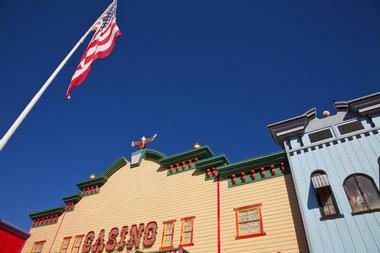 The museum also contains a special exhibit dedicated to Nevada's mining industry and its iconic ghost towns. At the Anna Robert Parks Exhibit Hall, guests can learn about the lives of the Pueblo and Paiute Indians, the first Anglo pioneers and the robust entertainment industry of Las Vegas. There is also an exhibit that centers on Nevada's extensive railway system. 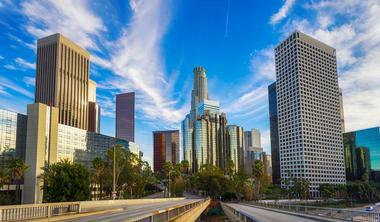 Famous for its massive entertainment industry, exciting nightlife, and fabulous beach areas, Los Angeles is visited by people from all over the world. While downtown LA boasts skyscrapers and posh nightclubs, the outlying Beach Cities area has scores of cozy seaside towns. Beverly Hills, one of the most affluent places in America, is an ideal place for spotting celebrities, as is West Hollywood. Visitors can go just outside the city limits for hiking, biking, horseback riding, camping, and more. For families, Universal Studios and Disneyland are just a short drive away. The Los Angeles area has accommodation, activities, tours, and events to suit any budget. Laughlin is a perfect getaway for those who are tired of fast-paced city life. Located just two hours from the picturesque Grand Canyon, Laughlin is a hub for all types of outdoor adventure activities. White water rafting, camping, hiking, mountain biking, horseback riding, golfing and SCUBA diving are among the many options favored by adrenalin seekers. Laughlin remains warm all year round, so adventure seekers will always have something to do here. For visitors who just want to relax, Laughlin has an array of upscale resorts, casinos, restaurants, and bars. Located alongside the Colorado River, Laughlin is easily reached from Las Vegas, Phoenix and Los Angeles. Pahrump prides itself on being Nevada's base camp for adventure seekers. Just outside the city, there is ample space for hiking, biking, rock climbing and off-road riding. At Lake Spring Mountain, visitors can indulge in all sorts of watersports, such as water jetpacking and paddleboarding. Front Sight, a world-class firearms training institute, is located just outside Pahrump. For guests who want to relax, Pahrump has a collection of casinos, wineries, restaurants, bars, and entertainment venues. The city also holds exciting events throughout the year, including carnivals, races, cultural performances, and festivals. Hailed as Utah's first national park, Zion National Park is one of the most picturesque places in the western United States. The park sees millions of visitors each year. People come from all over the world to experience Zion's challenging hikes, explore its deep canyons, and learn about the interesting plant and animal life in the region. There are campsites in the park for overnight stays. At the Zion Nature Center, young visitors can learn all about the fascinating history of the park through hands-on activities, pictures, books and games. 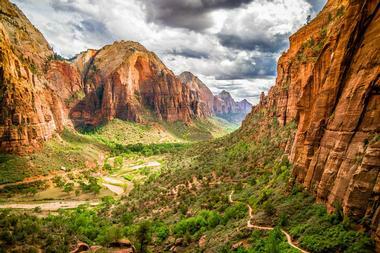 Zion National Park also has an active junior ranger program for children and families. 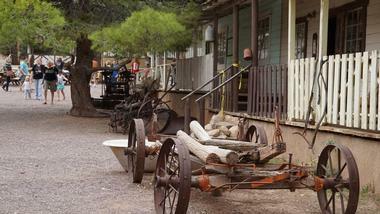 Bonnie Springs Ranch once served as a stopover point for wagons en route to California. Built in the mid-1840s, the ranch was converted into a tourist attraction in 1952. The site has long been known as an oasis in the desert because of its relaxed atmosphere and comfortable accommodation. Today, visitors can stop by Bonnie Springs Ranch for pony rides, rock climbing or train rides. At the Bonnie Springs Ranch, guests can catch a glimpses of Canadian lynx and wolves. Most of the rooms in the Bonnie Springs Ranch Motel come equipped with Jacuzzis and fireplaces. 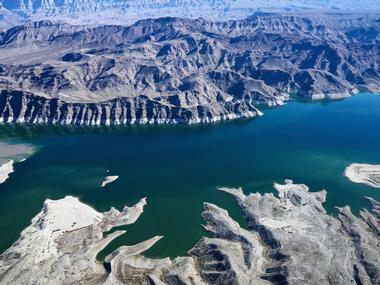 Lake Mead is well known for its spectacular scenery. The recreational area is home to thousands of species of desert plants and animals and the red rock cliffs that surround the lake contribute to the natural beauty of the area. Visitors can indulge in all manner of activities at Lake Mead, including boating, camping, kayaking, canoeing, hiking, and picnicking. Sport fishing is one of the most popular activities in the area. 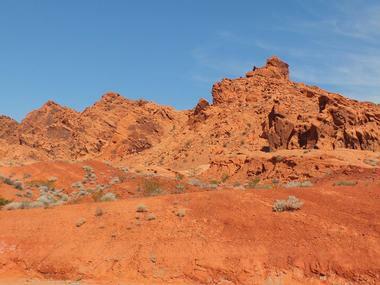 Visitors love taking in the stark desert scenery by walking and driving through the canyons that surround Lake Mead. 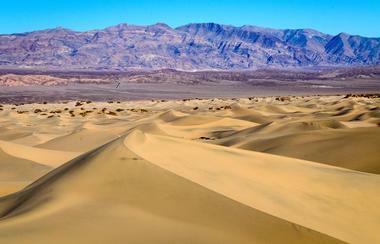 Death Valley is one of the hottest and driest places on Earth. Unlike other national parks, Death Valley National Park is constantly in a state of drought, and some of the world's highest temperatures have been recorded in this impressive park. As well as being the hottest place on Earth, Death Valley is also a place of extreme beauty. Some parts of the park teem with marine life and desert creatures. After rainstorms, the valley erupts into a colorful spread of wildflowers. At some times of the year it's also possible to see snow on top of the peaks that surround the valley. Death Valley is an ideal place for hiking, camping, and rock climbing. 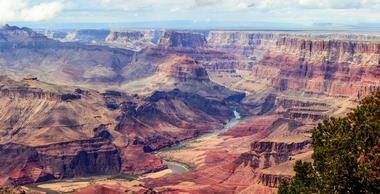 Hailed as one of the most incredible places on our planet, Grand Canyon National Park is located in northern Arizona. The 277-mile-long canyon was carved out by the Colorado River over the course of millions of years. The canyon is truly massive, with some areas measuring close to 20 miles across. The park offers an array of recreational opportunities. There are places for hiking, camping, and backpacking as well as scenic driving routes. Guests need permits for river trips, backcountry camping, weddings, and other special events at the park. 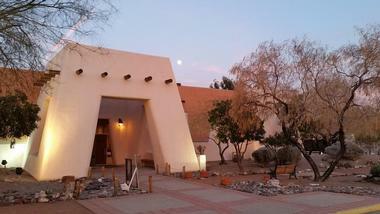 There is also a visitors center where travelers can learn all about the canyon's rich history. 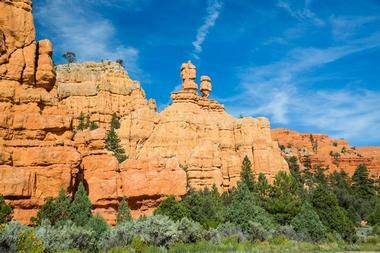 Dixie National Forest is located near Cedar City, Utah. This popular recreational area spans more than 2 million acres from the Great Basin to the Colorado River. Visitors can enjoy all sorts of activities here, but the most popular past times include hiking, camping, biking, hunting, horseback riding, and skiing. With hundreds of miles of forest roads, visitors will find ample photography opportunities throughout Dixie National Forest. Most activities in the park are unregulated, but permits are required for wood cutting, mushroom picking, rock collecting, filming/videography, and large group events. Camping is free throughout the park. 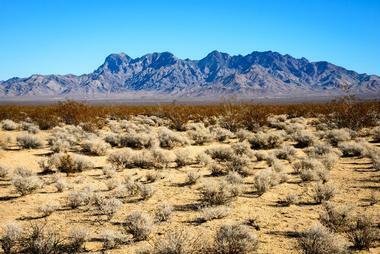 Located in Southern California, Mojave National Preserve is known for its desolate landscape and unique plant life. Deep canyons, towering sand dunes, abandoned mines, and old military outposts are among the unique attractions that visitors can find at the preserve. It is conveniently located between Las Vegas and Los Angeles. Popular activities at Mojave National Preserve include camping, off-roading, wildlife spotting, horseback riding, hunting and hiking. The preserve is open throughout the year, but the summer months are known for being unbearably hot. Visiting in spring or fall is usually a good option. Willow Beach is located in the Black Canyon region of the Colorado River. 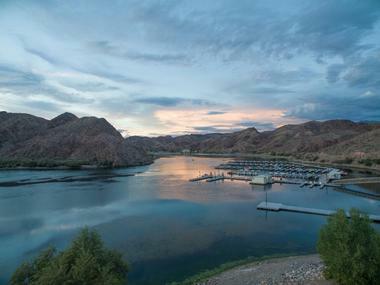 This sprawling recreational area provides boaters and swimmers with easy access to the refreshing waters of Lake Mead. At Forever Resorts’ boating rentals, visitors can pick up reliable and well-priced equipment for watersports. Willow Beach also features a restaurant, a gift shop, and a small convenience store. For overnight visitors, there are tent camping sites as well as slots for recreational vehicles. Nearby, visitors have the opportunity to do some white water rafting on the Colorado River as part of a guided tour. Fish Lake National Forest is home to some incredible natural phenomena. Its centerpiece is the lake, which is home to lake trout that can weigh in at more than 50 pounds. The lake also contains rainbow trout, tiger muskie, and yellow perch. There are six well-developed campsites situated along the edges of Fish Lake as well as several cabins that are available for rent. Another gem of the Fish Lake area is its Pando Aspen tree, which is believed to be the world's largest organism. Clocking in at close to 13 million pounds, Pando spreads across 106 acres and is attached to more than 40,000 trees. Pando has been named one of the 40 Wonders of America by the U.S. Postal Service. Famous for its red rock landscape, St. George is located in southern Utah. As one of the state's most famous outdoor playgrounds, St. George contains an variety of opportunities for recreation, relaxation, and fun. The city has an abundance of restaurants, museums, shops, art galleries, and other attractions. Outside the city, guests find an amazing canyon landscape that is perfect for rock climbing, horseback riding, hiking, canyoneering, ATV rides, and more. For the really adventurous, there are local tour providers that offer hot air balloon rides and skydiving. 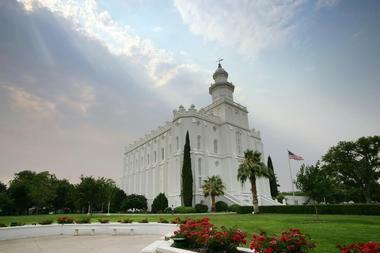 Several upscale spas and desert retreats are also located in St. George. Located just outside Las Vegas, the Sloan Canyon National Conservation Area spans close to 49,000 acres of picturesque desert. Features in the area include ancient, dry lake beds, towering rock peaks and the Sloan Canyon Petroglyph site, which is one of Nevada's most significant cultural areas. The site contains more than 300 rock art panels that boast close to 2,000 unique design elements. Visitors are allowed to look at the petroglyphs, but Sloan Canyon is carefully managed to avoid damage to these ancient and significant images. Guests are asked to stay on designated trails throughout the canyon. Clark County Wetlands Park features a lush habitat that supports a variety of plant and animal life. Just minutes outside the city, the park is home to hundreds of plant and animal species. The protected area serves a dual purpose as it also improves the quality of Nevada's water supply. Clark County Wetlands Park is a great place for an educational visit since the park hosts engaging and interactive programs for visitors of all ages. For sightseeing and relaxation, visitors can check out the trail system in the park and spend time at the onsite nature center and exhibit hall. The park is open daily and admission is free. 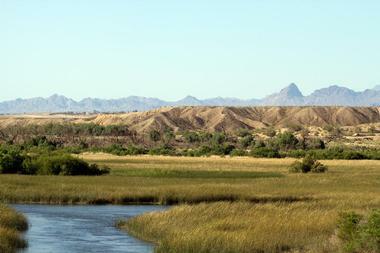 The Havasu National Wildlife Refuge is located along the Pacific Flyway. The flyway is a key north-south migratory route that follows the western coast of the United States. The refuge serves as a stopping point for hundreds of birds that follow the route at different times of the year. 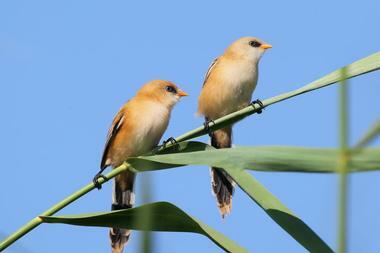 In some cases, birds even spend the winter in the temperate refuge. Aside from bird watching, visitors to the refuge can also enjoy boating, fishing, hiking, and hunting in the area. Some of the most scenic points within Havasu National Wildlife Refuge include Topock Gorge and several Colorado River viewpoints. The Mount Tipton Wilderness Area is part of Mojave County. Situated 25 miles north of Kingman, Arizona, the wilderness area encompasses more than 30,000 acres of land. Mount Tipton Peak towers over the spectacular landscape at 7,148 feet. Surrounded by picturesque pinnacles of rock, the Mount Tipton Wilderness Area is a prime place for backpacking, camping, rock climbing, horseback riding, and photography. There are five different access points throughout the area and visitors are advised to come prepared for poor road conditions. Having a vehicle with all-wheel drive is ideal in this tough terrain. Visitors also have to be mindful of the high temperatures in the summer months. 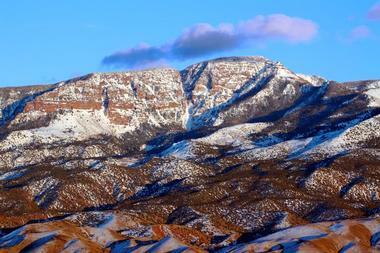 Pilot Peak is a popular mountain getaway located between Wells and Wendover, Nevada. It is the most prominent peak in Elko County and the fourth-most prominent peak in all of Nevada. Named after the intrepid desert explorer Captain John C. Fremont, Pilot Peak was used as a landmark by members of the ill-fated Donner Party in 1846. 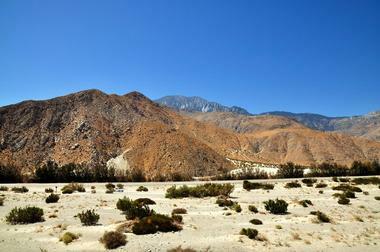 Donner Springs, where the Donner Party was able to obtain drinking water, is located at the base of the mountain. Pilot Peak is not considered an easy climb because steep talus slopes guard the peak. From the summit, however, climbers can get incredible views of the vast valley below.